u‑blox has rolled out the u-blox F9 technology platform, which was designed to deliver high-precision positioning solutions for mass market industrial and automotive applications. 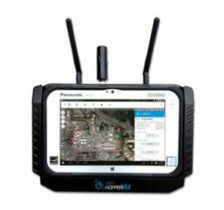 The platform combines multi-band GNSS technology with dead-reckoning, high-precision algorithms, and compatibility with a variety of GNSS correction data services, to achieve precision down to the centimeter level. u‑blox F9 paves the way for the next generation of high precision navigation, augmented reality, and unmanned vehicles, the company said. The u-blox F9 platform will underpin the next wave of u‑blox positioning modules targeting mass market industrial and automotive applications. It uses GNSS signals in multiple frequency bands (L1/L2/L5) to correct positioning errors caused by the ionosphere and deliver fast time to first fix (Fast TTFF). 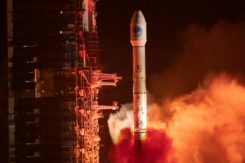 Its ability to receive signals from all GNSS constellations (GPS, GLONASS, Galileo, Beidou) further improves performance by increasing the number of satellites visible at any given time. Stand-alone u‑blox F9 solutions robustly achieve meter-level accuracy. To achieve centimeter-level accuracy, u‑blox F9 offers optional on-chip real-time knematic (RTK) technology. In addition to offering an open interface to legacy GNSS correction service providers, it supports the main GNSS correction services, bringing RTK high-precision positioning to the mass market. “High precision is the next frontier in positioning for mass markets, with countless applications in need of a robust and scalable high precision positioning solution. u‑blox F9 provides the hardware and integrated software components to address these needs,” said Daniel Ammann, executive director of positioning product development at u-blox. Optimized for low power consumption, the u‑blox F9 platform sets a high standard for security with built-in jamming and spoofing detection systems that protect against intentional and unintentional interference. Dead-reckoning technology based on inertial sensors extends high-precision performance to otherwise challenging urban environments. Automotive applications of the technology include lane-level navigation for head-up displays and vehicular infotainment systems as well as for vehicle-to-everything (V2X) communication, a prerequisite for highly automated and fully autonomous vehicles. 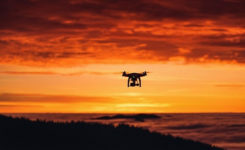 In the industrial realm, u‑blox F9 will enable mass adoption of commercial unmanned vehicle applications including drones and ground vehicles such as heavy trucks or robotic lawnmowers. The u‑blox F9 platform’s technology will be showcased at Embedded World in Nuremberg, Germany from Feb. 27-March 1 at Booth #3-139. Product samples will be available later in the year.